June 1, 2010. Tags: Alan Ball, Alexander Skarsgard, Anna Paquin, Deborah Ann Woll, Nelsan Ellis, Rutina Wesley, Ryan Kwanten, Sam Trammell, Stephen Moyer, True Blood, True Blood q and A with cast. Celebrities, Entertainment, Fantasy, Fiction, Horror, Mystery, Popular Culture, Supernatural, Suspense, True Blood, Urban Fantasy. Comments off. June 1, 2010. Tags: Artur Davis GA Gubernatorial primary, illegal immigration, NM Primary results, primary, Sarah Palin, Susana Martinez, Tea Party Patriots. Politics. Comments off. If only Obama were as tough as Bret Michaels! But nooo he just wants to go on vacation and eat his waffle..pfft! June 1, 2010. Tags: bret michaels, Brett Michaels, poison, TESLA. Celebrities, Glam Metal, Hair Bands, Music, Obama Administration, Politics, Popular Culture. Comments off. The going got tough, Obama gives up. Six days ago: FREMONT, California — US President Barack Obama said Wednesday his administration would not rest until the Gulf of Mexico oil leak is plugged and the massive clean-up operation complete. June 1 (Bloomberg) — BP Plc has decided not to attach a second blowout preventer on its leaking well in the Gulf of Mexico and efforts to end the flow are over until the relief wells are finished, according to the U.S. Coast Guard’s Thad Allen, who spoke at a press conference today. June 1, 2010. Tags: Billy Ocean, BP Coast Guard give up containing oil spill, BP oil spill, environmental diaster, Gulf Coast, Gulf oil spill, Jewel of the Nile, Obama gives up on containing oil flow. Obama Administration, Politics. Comments off. Thank God. God Bless Israel. MiM supports Israel, unconditionally. We believe they face an existential threat. All they want is to live in peace. They must be able to protect themselves. Secretary of State Hillary Clinton has been privately asking foreign leaders to “dial down” criticism of Israel until all the facts of the flotilla attack are known, according to a source who personally discussed the matter with her. 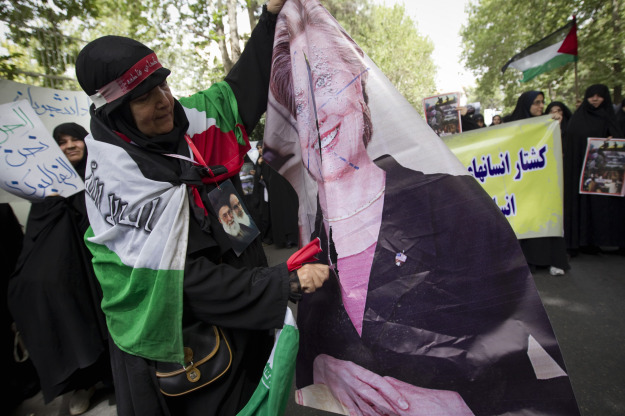 Foreign Policy blog has more pics of the Iranian anti Israel, anti Hillary demonstrations. June 1, 2010. Tags: Foreign Relations, Hillary Clinton, Israel, National Defense. Hillary Clinton, Obama Administration, Politics. Comments off. I love the AMZN author page, Nathan is having way too much fun with this role, lol. June 1, 2010. 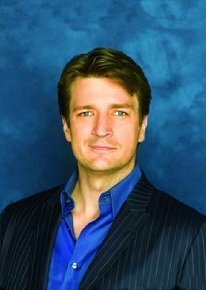 Tags: Castle, Naked Heat, Nathan Fillion, new Richard Castle Nikki Heat novel, Nikki Heat, Rick Castle, Stana Katic. Celebrities, Detective Stories, Entertainment, Fiction, Mystery, Popular Culture, Suspense. 1 comment.